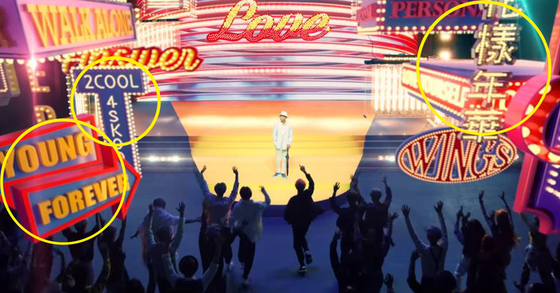 More and more Easter eggs are being discovered from Boy With Luv music video by sharp fans. 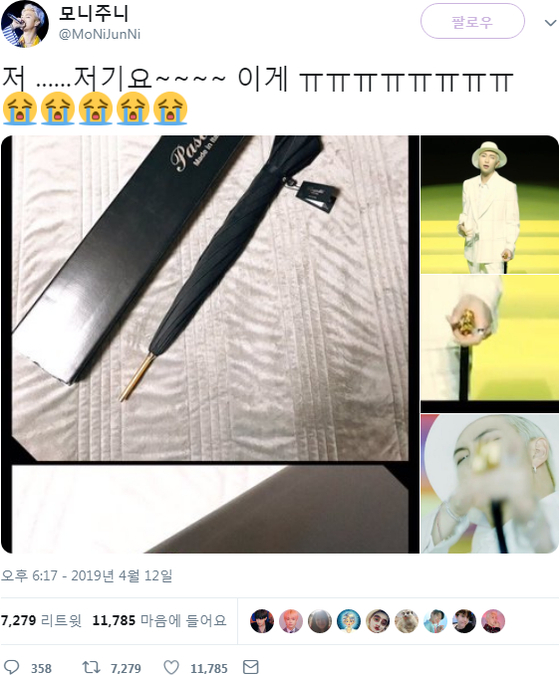 A fan tweeted on April 12th, the day BTS's music video was released, that her gift was used as a prop in the music video. 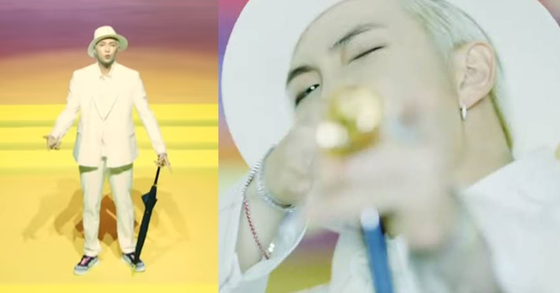 She uploaded a screenshot where RM is holding an umbrella, and proof that it was hers. She, later on, posted how she came to give an umbrella as a present. She tweeted "The reason I gave this umbrella to RM was because I was deeply impressed by his performance of Umbrella in Duet Song Festival. On March 2018, RM's released his first mixtape and it was also the year of the golden dog which is why I prepared this gift. It means that I want to be you umbrella which keeps you safe from the rain." This heartwarming story touched fans' hearts, saying that "We should be the one to thank you. You and RM have great synergy with each other", "Your sincerity must have touched RM's heart", and "Now the umbrella will be shown in the music video forever!". 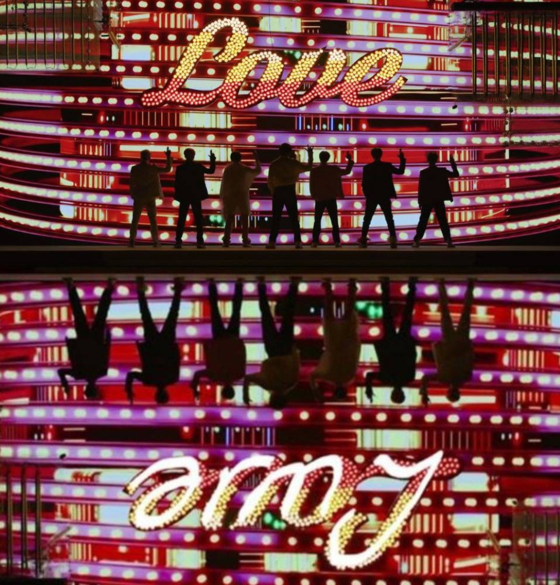 If you were too preoccupied with the fantastic visuals of the 7 members, you may have missed these bright neon signs all written with the previous album titles. You can see Young Forever, 2 Cool 4 Skool. WINGS, Never Walk Alone, 花樣年華(HYYH), and of course Persona. If you look carefully, you can see J-hope laughing as if he heard a funny joke or seen something funny. Look even closer and you can catch a glimpse of V laughing as well. Fans are assuming that the director of the music video left this footage in because of the heartwarming scene caused by the two boys. Some fans were quick to notice that there was something awkward with JungKook’s neck. At first fans thought it was a CGI mistake, but evidence showed that it was just an optical illusion caused by the light. If you flip the neon sign that says ‘Love’ upside down, you can see the word ‘army’. 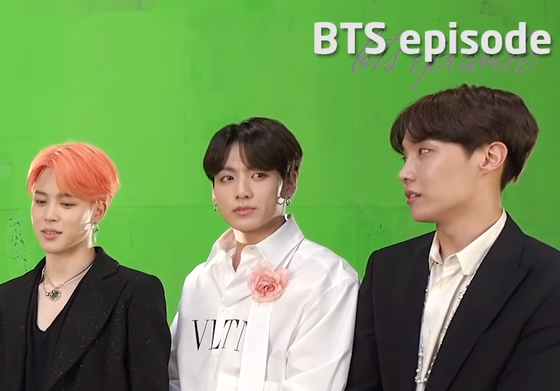 BTS’s love for army is quite something!